May 21st – A pic in time – Trees & Flowers & Birds! Since I got home late & tired from a big meeting with Eve, all I have today is this example of what I intend to be a week of pictures of unexpected beauty. 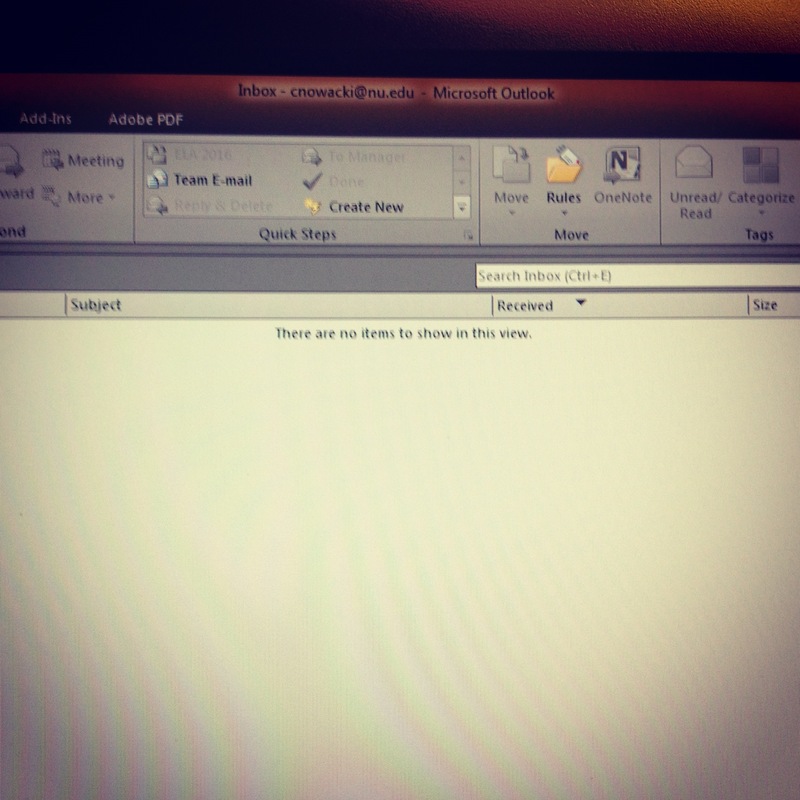 Pretty sure nothing is more unexpected, or beautiful to most of on a Monday morning as a totally empty email inbox. Stunning!